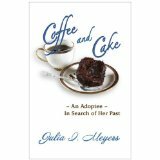 Coffee and Cake --And Adoptee--in Search of Her Past by Julia I. Meyers Julia Meyers and I met because her daughter, Carmen, was in my third grade class. In one of our discussions, I discovered that Julia was adopted and she was writing the story of how she went about finding her birth family, while still honoring her adoptive family. Being the mother of five adopted children myself, I certainly was interested in learning about Julia's story. I feel honored that she allowed me to edit her book Coffee and Cake. Readers will fall in love with the stories in this book. If you have a relative and/or friend that suffers from dementia, then this book is a must read. I wish I had had this book when my father was alive, but the stories took me right back to him and all that we went through together. 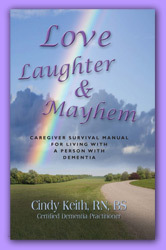 If you know any caregivers that are dealing with struggles, please consider buying this book as a gift that will change their life and the life of the person with dementia. Find out more about Cindy Keith at www.mindinmemorycare.com. 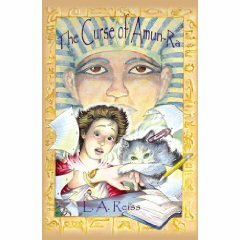 Click on the book cover to find out about Lisa and her great middle-grade novel. "Thanks to Joyce Gilmour for her 'hawk eyes,' her patience, and her love of the written word." Click on the book cover to find out about Gloria and her wonderful children's book. Check out Daniel's website to learn more about his book which is currently with an agent and out to publishers. Check out L. P.'s books at her website. Elliot is a great friend to elementary school-age children. This book is a teacher/parent resource to accompany Elliot Stone and the Mystery of the Alien Mom. Email joyce@editingtlc.com to inquire about this book. It is based on the Multiple Intelligence Theory and Bloom's Taxonomy....both higher level thinking for children. Another great read in the Elliot Series. A wonderful book for children in counseling or those who have friends and/or relatives going to counseling. L. P. does a beautiful job of explaining why it is sometimes necessary to visit a counselor. 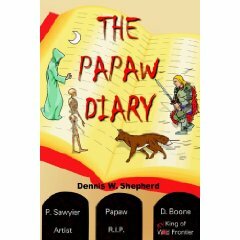 A very special story written by a "papaw" for his grandsons. It is full of adventure and mystery, and is definitely written by a grandfather who understands children. This is the story of a young Marine who was part of the march to Baghdad, a comparison of his service to that of his father, the VietNam veteran. This book takes you into the hearts of a Marine and his family, and how his service to his country affects all of those that he loves. Learn about Mark and listen to him read an excerpt from his book at AuthorsAloud. 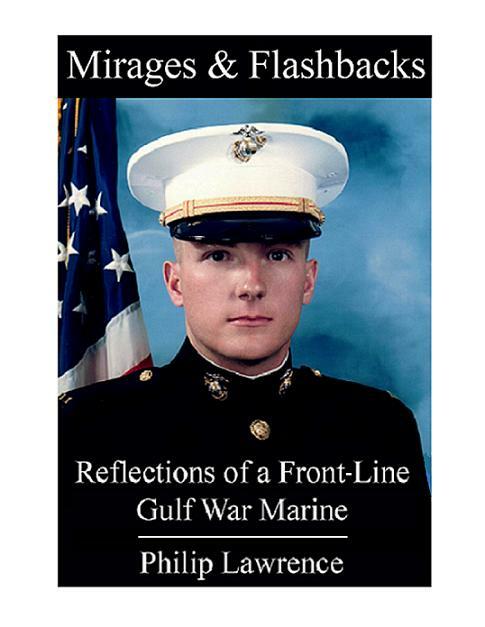 Mirages and Flashbacks: Reflections of a Front-Line Gulf War Marine is Philip Lawrence's gripping story of graduating from college, earning a commission in the U.S. Marines, and serving on the front line in the Gulf War from 1990 to 1991. Along the way he questions the war, his faith, and ultimately himself yet never wavers in his commitment to his fellow Marines. More than just a narrative of combat and military life, Lawrence weaves into the fabric of his book passionate stories from his past as he evolves from a youth to a man. Laced with elation, sadness, humor, fear, courage, and angst, Lawrence experiences the full range of human emotions. Lawrence’s memoir – written almost entirely in the present tense – takes you there as you experience first-hand his life before and during the Marines as he tries to prepare himself physically and mentally for war. Mirages and Flashbacks is one of the most compelling memoirs of Lawrence's generation.